Today our mom would have been 80 years old and I must say that we still miss her dearly. Today’s card is one I made using the all new and I m ust say fabulous MDS2 (My Digital Studio)software. I have been an MDS user from the beginning but Stampin Up revamped the software and made over 75 enhancements to the original software and it is awesome. The full MSD 2+software is $79.95 and has over $500 worth of digital content. The full software is available via disc #130647 or via download #130646. The MDS 2 software (without the $500 worth of digital content) is available for $39.95 (disc: #130645 or download:#130644). If you already own MDS you can upgrade for $19.95). Finally if you want to try MDS2 for free contact me at cathymorgan@wideopenwest.com for details. Every Tuesday Stampin Up releases their new downloads available for purchase. Finally if that is not enough, Stampin Up has drastically reduced the cost of their printing services too so seriously there is no better time than now to go digital. Today’s card is the quickest card I have ever made- handsdown! I used the card template and added the mummy from Spooky Bingo Bits #127616 digital download added a cherry cobbler punched heart and added the text. With the digital stamped images you are not limited to 1 size. 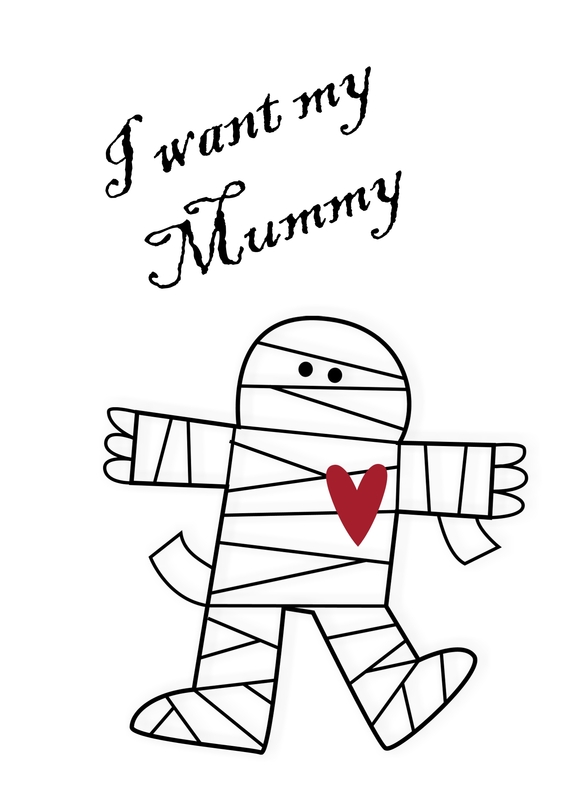 I added the mummy and then resized him to fill most of the card. Once I receive the cards from the printing service I will make it a hybrid card by adding it to a black card base and adding a piece of bling or 2. Although we did not attend the Stampin Up convention in Salt Lake City this week, we followed the action through the Stampin Up demonstrators website. Stampin Up announce some exciting news about an upcoming promotion for MDS and finally committed to the release date for MDS2 software. August 1 is the date to purchase the new software that is filled with over 75 upgrades including conversion to svg cutting files. WOO HOO. PLUS for the entire month of August Stampin Up is offering 31% off select printable products. With that being said, today’s card is an MDS hybrid card that I designed for a friends wedding. The card front was designed in MDS and printed and then I added it to a card base and “blinged it up”. It is the 25th of the month and as promised we post Christmas cards that we designed but also from some of our followers. This month Yvonne Crook, an avid SU fan and sistah friend of 3 sisters to stamp is our featured follower for today’s post. Yvonne was inspired by all the pennant posts that she decided to make a wreath and thread gingham ribbon through it and tied into a bow. 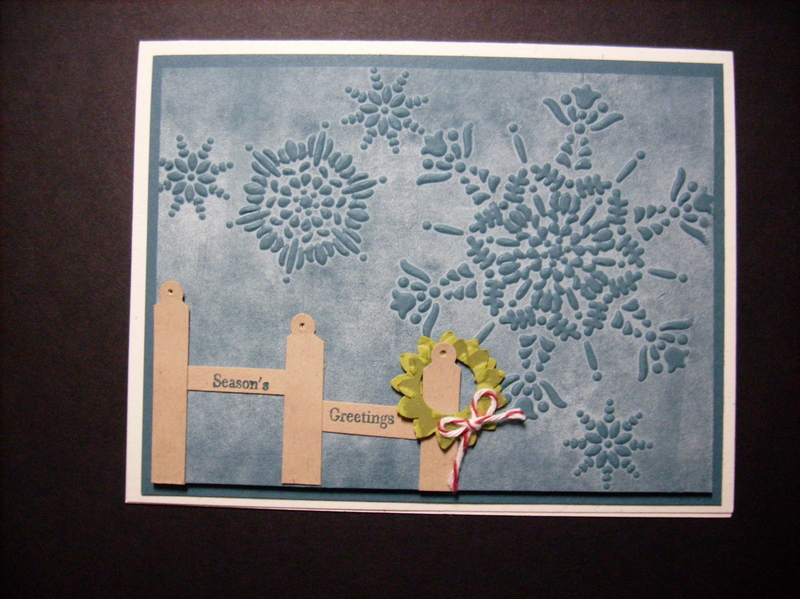 Nice and simple design that could easily be created in mass to all those on your Christmas card list. If you did not see Cammies beautiful Christmas cards from yesterdays post be sure to check it out. Cammie did a great job with today’s Christmas card challenge and also has a wreath as the focal elelment. 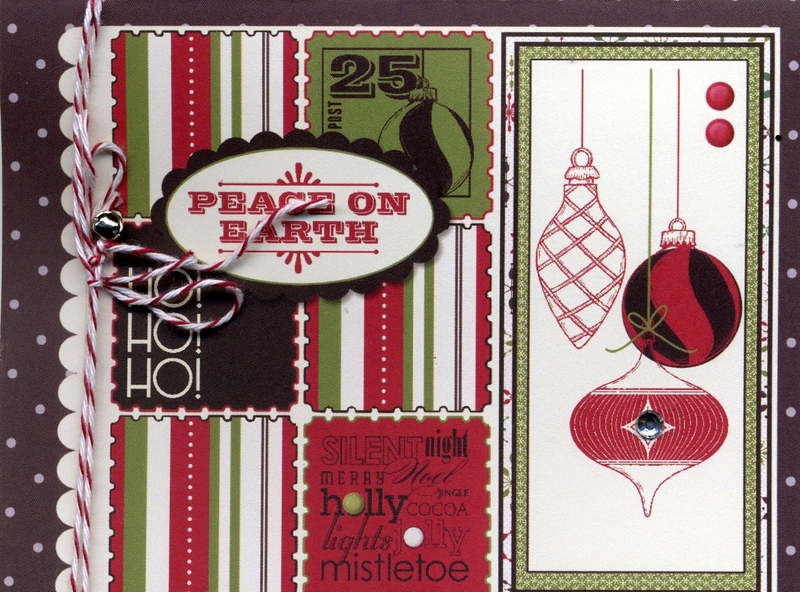 The northern flurry embossing folder serves as a great background. Check out the fence posts made from the key tag punch. 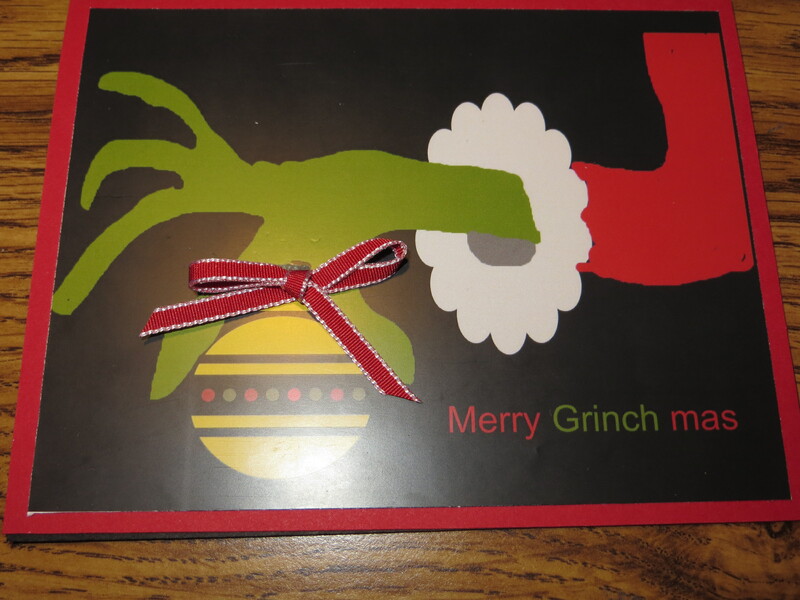 For my card, I decided to go the simple route use MDS to create a hybrid Christmas card. My Digital Studio, MDS is a great way to create cards in mass and sent them to SU printing service. 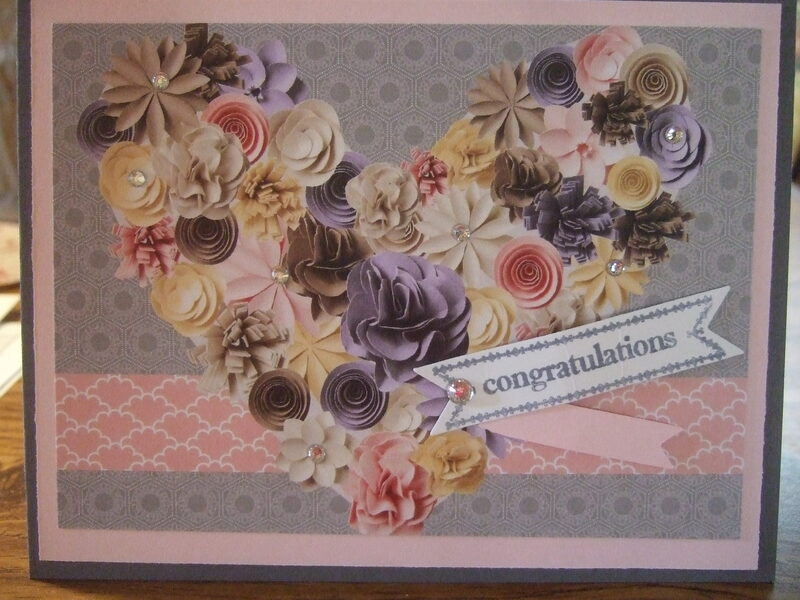 When you get them back, just add a few embellishments and you have a wonderful card. Hope you enjoyed these Christmas cards and are inspired to start creating your own Christmas cards….. BTW, Christmas is just 90 days away! 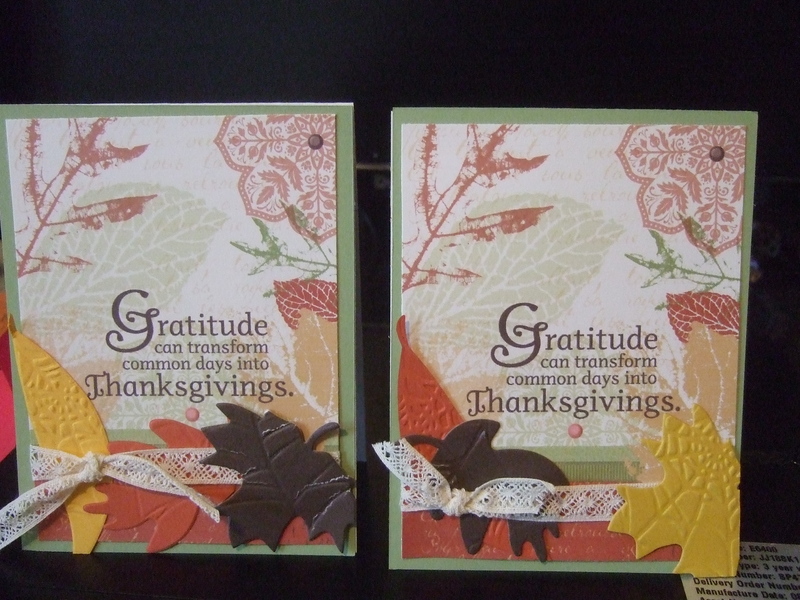 Tomorrow I will be announcing another challenge using a StampinUp stamp. Here is a sample of one of my simple designs. Card was easy to assemble. 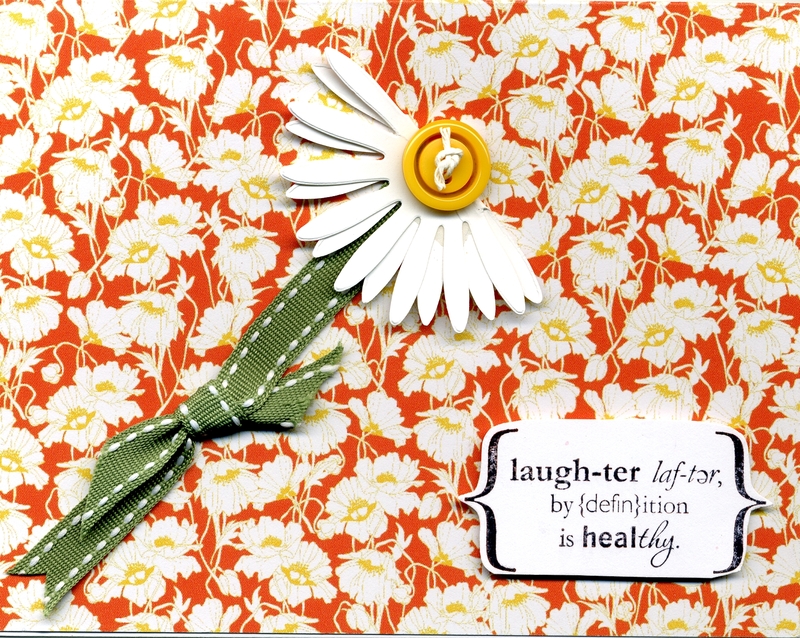 Take printed card and fold in half, cut daisy in whisper white using bigshot and fold in half. Glue down. Thread button with bakers twine and add to center of flower. Cut desired ribbon length for stem and knot another piece for leaves. Stamp sentiment on whisper white cardstock and black ink, cut out and apply to card.